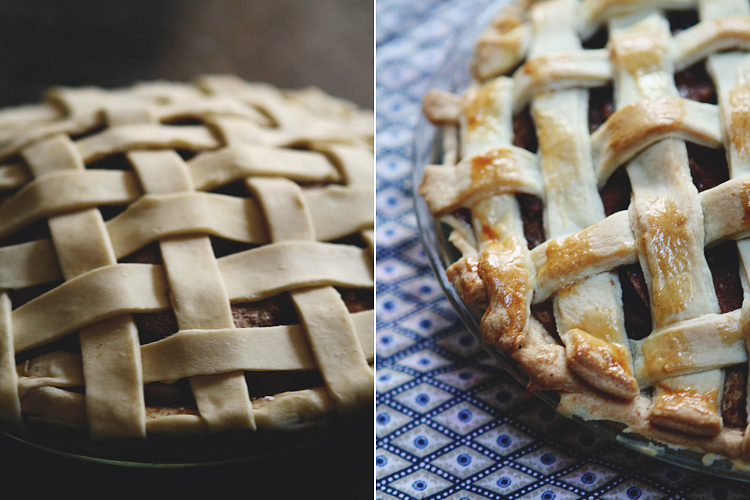 Before I shot RAW and before I had a full-frame camera, I baked this apple pie for Thanksgiving. Apparently I took these at 1/25s hand held (whyy?) with my Rebel XTi. Move along... nothing to see here. This is pretty sharp with 1/25th shutter speed! Yum - makes me want to get some desserts now... Have a wonderful dinner tonight! I've never been great at shooting food, and I'm always amazed at your knack for it. I'm just good at eating food. hah. We had an anniversary dinner at Adour once, so amazing! Wishing you a Happy Thanksgiving! Aw, I think that's a great tradition! Definitely a keeper. And, yes, I too am thankful every day that I get to do what I love. It really is the only way to be truly happy. wow, in just a year! Sometimes I look back on my old XTi photos and really cringe. It took me a full year before I really learned that, yes, I do need natural light, and no, I can't just get by just this once without it. I wish you the best of luck next year on the photography business, though you probably won't need it. You're skilled and passionate and that's what counts! White balance issues or not, the photos have a lovely subdued and atmospheric quality.